The FMT-Q turbine meters are robust and designed to perform on the highest level of accuracy. The actual flow sensor, an exchangeable cartridge, has a build-in flow conditioner enabling the meter to be installed with standard (5 x DN) straight in- and outlet sections. 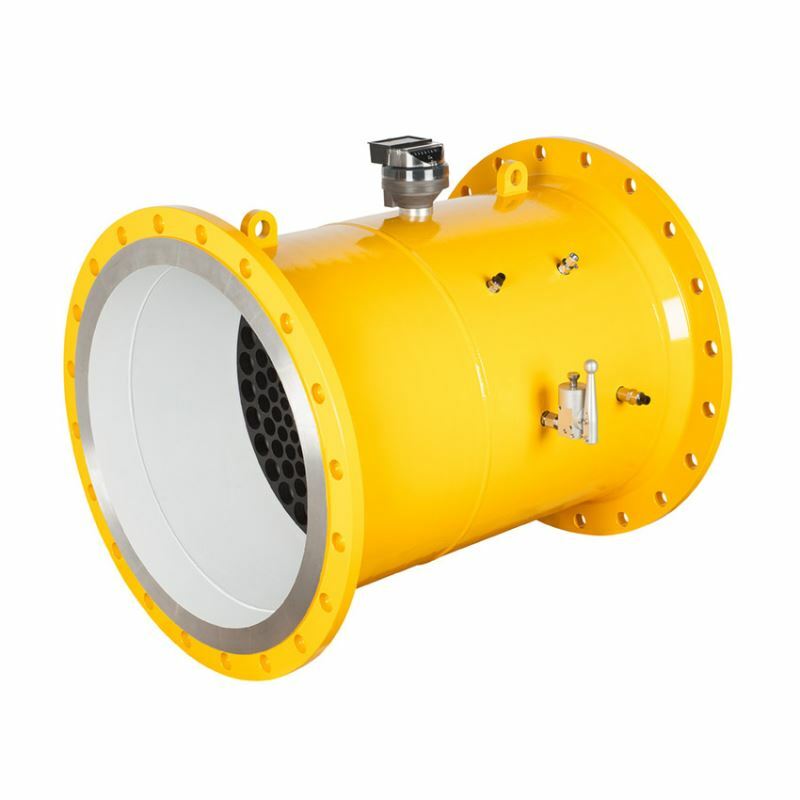 To reduce transportation cost, optimize the corrosion protection and improve safety in handling, the FMT-Q series of turbine meters are also available with low weight aluminium meter bodies. As an example, the weight of a 12” (DN300) ANSI300 FMT-S is less than 45 kg. 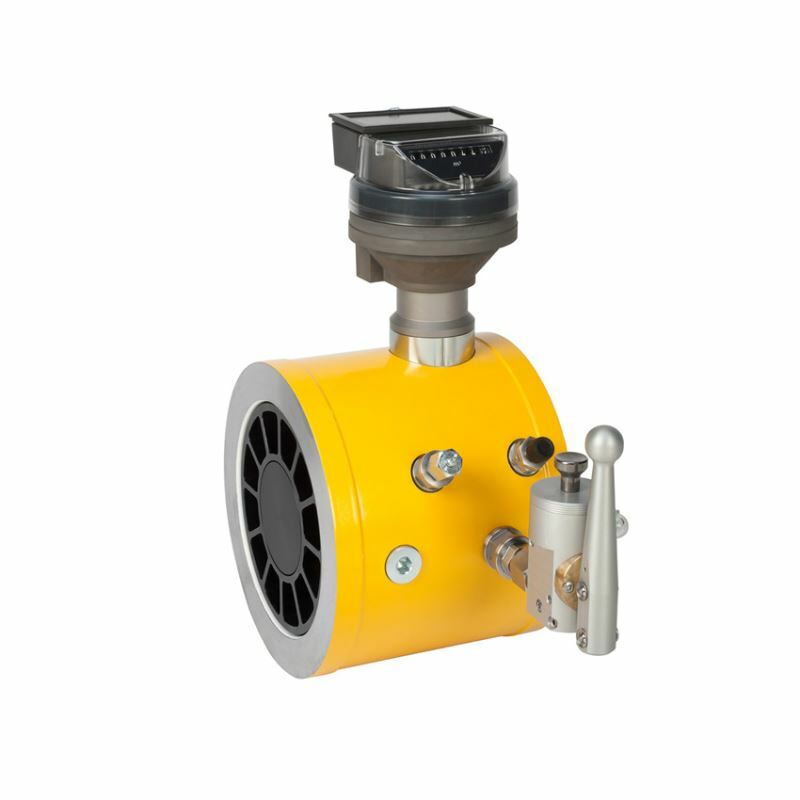 The operation of the FMT-Q series of turbine meter is based on the measurement of the velocity of gas. The flowing gas is accelerated and conditioned by the integrated flow conditioner. The flow conditioner prepares the gas flow profile by removing undesirable swirl and asymmetry before the gas flows over the freely rotating turbine wheel. The dynamic forces of the flowing gas cause the rotor to rotate. The turbine wheel is mounted on the main shaft, with high-precision, low-friction ball bearings. The unique FMT-Q turbine meter is suitable for internal gas measurement of all non-corrosive gases such as natural gas, propane, butane, air, nitrogen, hydrogen, etc. for low and high operating pressures. Special constructions can be supplied for use under extreme conditions like high temperatures or corrosive gases. Standard FMT-Q bodies up to 8” (DN 200 mm.) 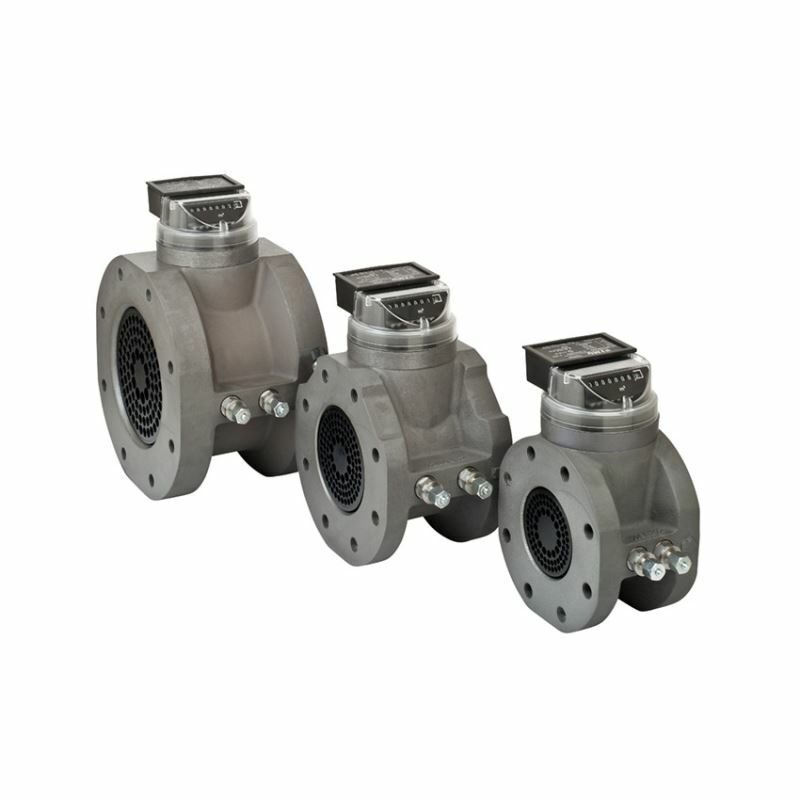 ANSI150 or PN10/PN16 come with threaded flanges. Larger Sizes or higher pressure ratings up to 24” ANSI600 are available in steel. The FMT-Q has a length of 1.5 x DN for small sizes and just 1 x DN for larger sizes. For flange ratings up to ANSI300 and PN40, the body is available in aluminium (steel on request). Due to the extremely low weight of these aluminium bodies, the meter can be transported easily and exchanged without special equipment. Since the FMT-Q is equal to the FMT-S (but without the multi stage flow conditioner and the compliance to all international standard) the FMT-S brochure can be consulted for more information.